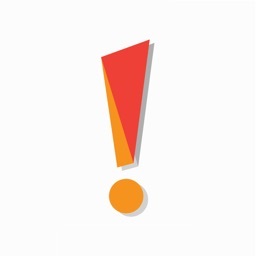 * Drill-down tables to find text, individual signs, figures and tables. 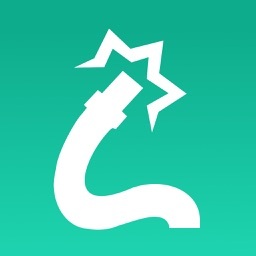 The entire manual is in the app. 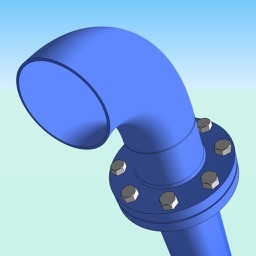 Hyperlinks are provided in text to all corresponding figures and tables. It has never been easier! 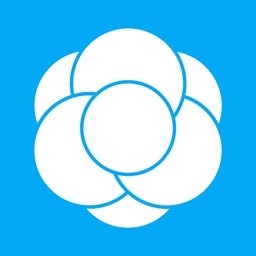 * Text based search for Chapters, Sections, Signs, Tables and Figure titles. 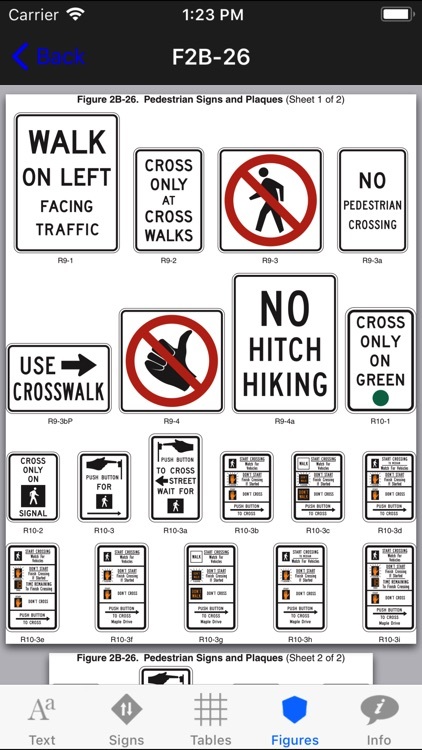 Find all traffic signs by keyword or MUTCD code. 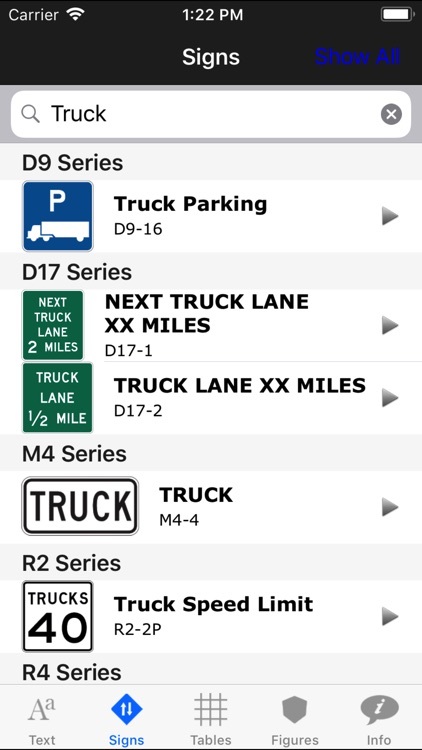 For example, type in “Truck” for the signs tab, and see all signs with “Truck” in the title. 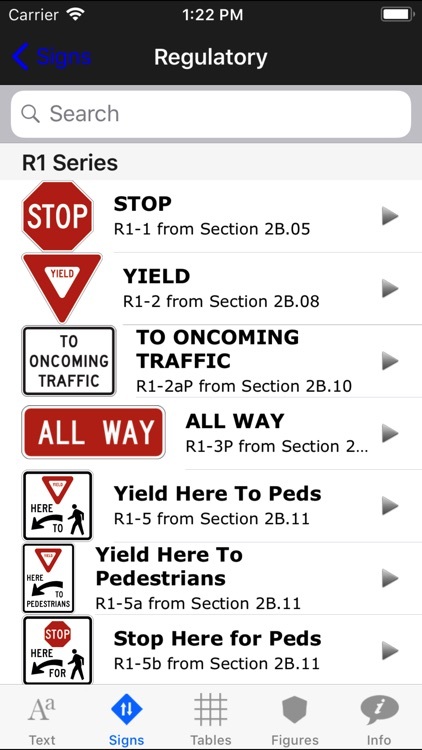 Type in “R1-1”, and it shows the stop sign with touch based access to the corresponding section. 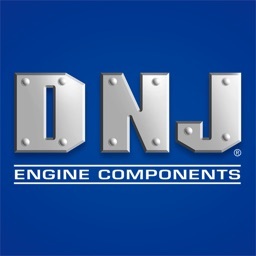 * The sign tab includes a copyrighted, sign index with high-resolution graphics that is superior to all others! 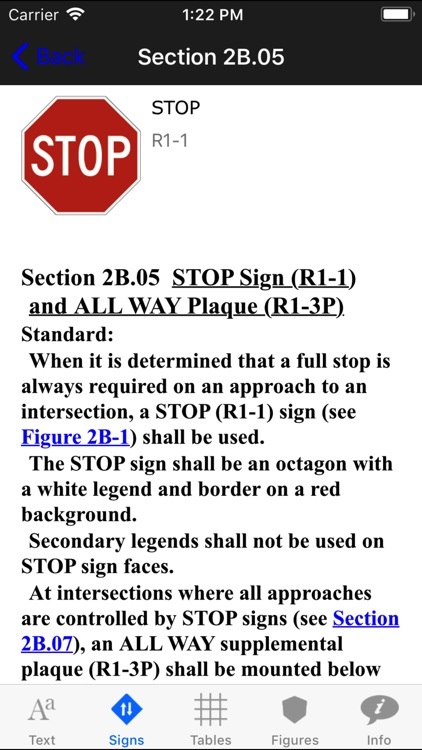 Federal MUTCD signs are shown that allow one to touch the sign to reveal the relevant section. 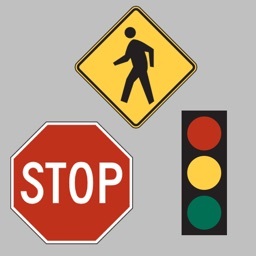 You can visually search by sign type or show all MUTCD signs in the same drill-down table. Over 800+ signs are available! The MUTCD is in the initial stages of evolving to something much more than a simple PDF. See the first stage of this evolution today! 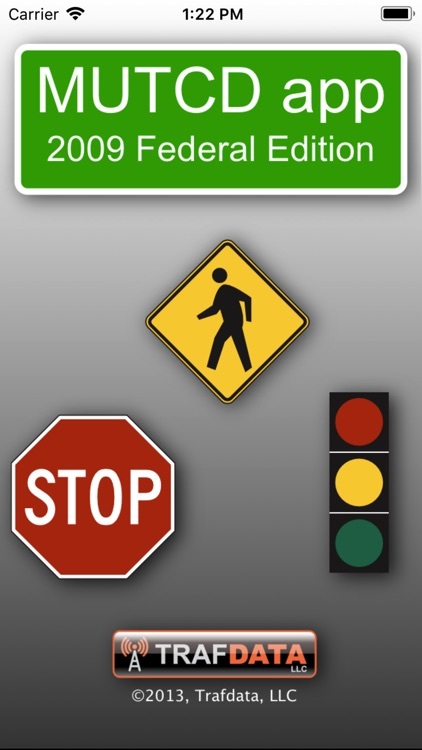 It would be appreciated if you could rate the MUTCD app after using it. All comments are appreciated.